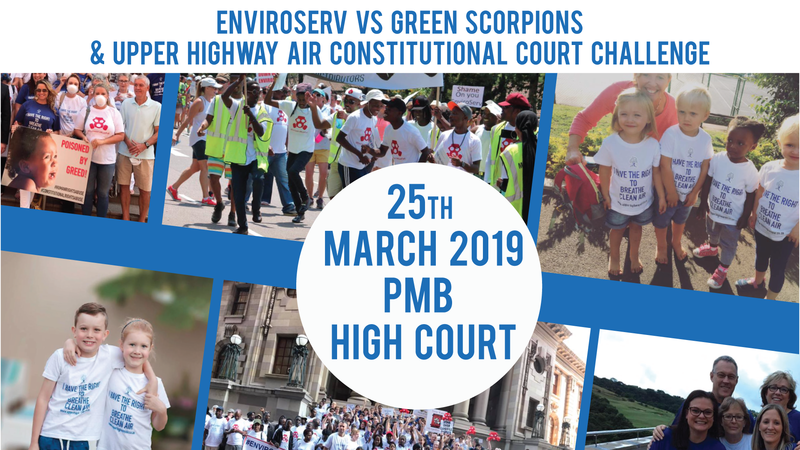 UHA NPC, it’s directors and SDCEA were among existing monitoring committee members excluded by Enviroserv from participation in the monitoring committee, unless they acquiesced in Enviroserv and its facilitator’s unilaterally determined conditions for continued participation. We were not notified of the meeting, nor provided with an agenda or the information relevant to the subject of the meeting. We were also threatened by an organisation established in April 2017, and ostensibly now part of the monitoring committee and as Enviroserv declined to move the meeting from the scheduled venue in order to ensure our safety, we did not attend. Enviroserv also did not relinquish the requirement that we comply with its conditions for inclusion in the monitoring committee. UHA NPC and SDCEA have accordingly prepared a fresh application against, amongst others, Enviroserv, to enforce compliance with the current terms of reference and to ensure that the irregular convening of the meeting and unilateral reconstitution of the monitoring committee as well as any decisions taken thereat be set aside. The UHA NPC and SDCEA are also seeking access to the technical information, monitoring data and promised responses to its expert concerns with the toxicology and Airshed reports. UHA NPC also seek an order directing local authorities to investigate the necessity for remedial and precautionary measures Enviroserv should be compelled to take in order to avoid the spills it says will result should it not be allowed to trench excess leachate, brine and contaminated stormwater and in the event of not being granted permission to discharge via the SWWTW.